GE Aviation’s GE9X turbofan returned to the skies on December 10, kicking off a second round of airborne testing during which the engine maker will evaluate the power plant’s software and performance in hot-and-high conditions. 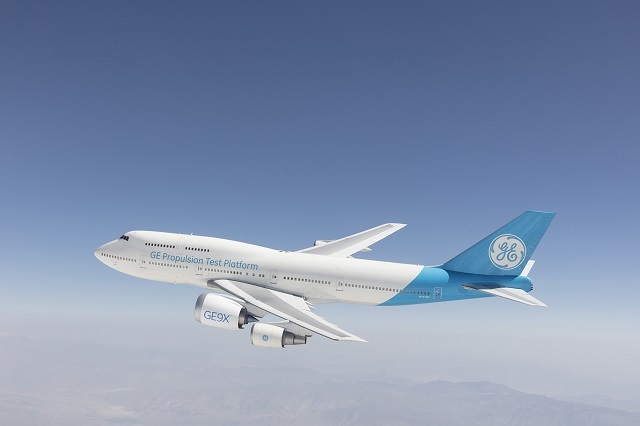 The latest round of testing will involve roughly 18 flight of GE’s flying Boeing 747-400 testbed, which will carry the massive GE9X turbofan under its wing, GE says. The 105,000 lb thrust (467kN) GE9X will power Boeing’s 777-9s and 777-8s. 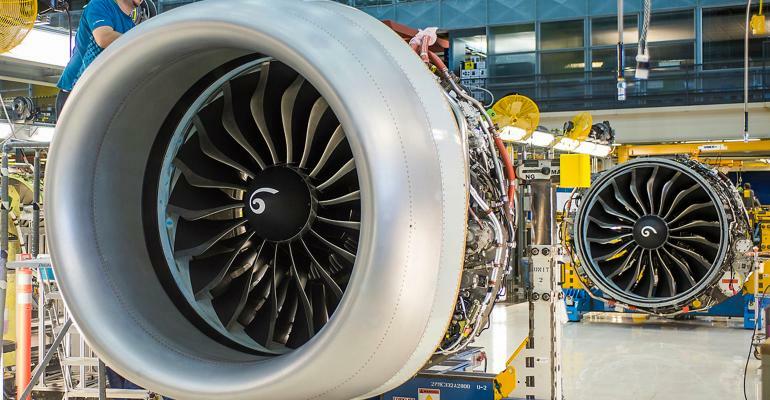 GE9X flight tests will stretch into the first quarter of this year, bringing GE closer to achieving its goal of receiving certification of the engine by the Federal Aviation Administration (FAA), according to the Ohio-based engine maker. “During the second round of testing, GE will continue software development testing that began in the first round, perform hot-and-high starts and fill in remaining gaps from the first round of testing,” says GE. “Tests that remain include blade out, hailstone, bird ingestion and block or insurance testing,” GE Says. The GE9X-105B variant of the engine will power the 777-9, which Boeing expects will achieve first flight this year and enter service in 2020. GE aviation acquired its 747-400 flying testbed from Japan Airlines, then modified and strengthened the aircraft’s wing and strut to accommodate test engines, it says. 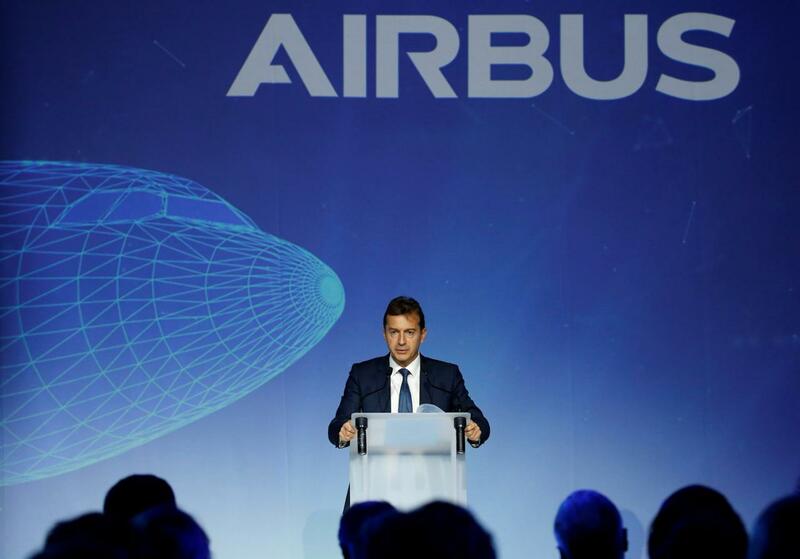 Airbus has launched a strategic review to outline changes under the incoming chief executive, Guillaume Faury, as it faces industrial challenges and prepares to overdue modernization, industry sources said. The “Airbus Next Chapter” review involves a team of planners working outside the normal strategy organization in pursuit of a break from years of industrial problems, management feuds and ongoing bribery scandal. It is being led by investor relations chief Julie Kitcher, in what one insider described as a signal to financial markets that profits will be embedded in strategy’s as the one state sponsored European project marks its 50th anniversary. Planemaking boss Faury, who becomes CEO when Tom Enders retires in April, ”wants to go fast and introduce a new state of mind: he wants to turn the page on the past”, a person familiar with the company said. Founded in 1969, Airbus has risen to compete on par with Boeing and is one of Europe’s leading exporters. The review may address how Airbus can meet demand by sharply ramping up production of its jets like its A320. One previous taboo that may come for discussion is a fragmented production system securing jobs in The UK, France, Germany and Spain. Executives are warning Airbus must not find itself lacking in proven technology for the A320’s successor after 2030, as it had been in wide-bodies when Boeing launched the 787. For now, Airbus is winning a bigger slice of the market on the A320 but some analysts say it has fallen behind Boeing in manufacturing techniques-a gap that could grow if Boeing launches a mid-market jet with a new factory system. 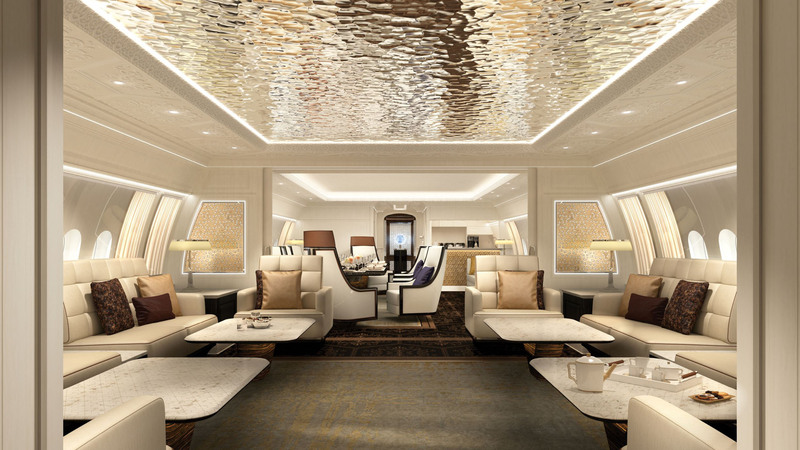 Boeing Business Jets is confident that its newly launched BBJ 777X will deliver significant sales in the Middle East, justifying the unveiling of the VVIP airliner at the Middle East Business Aviation Association(MEBAA). He says the company has been touting the aircraft to customers ahead of its formal launch at MEBBA and has received positive feedback. “The Middle East traditionally accounts for over 52% of our wide body BBJ sales and there is no reason why the breakdown won’t apply on the 777X, ”Laxton adds. Like the commercial aircraft on which it is based, the BBJ 777X will be available in -8 and -9 variants and becomes the fourth current production wide body in the BBJ range, joining the 787-8/9,747-8 and 777-200 LR/300ER. BBJ also announced a new order at MEBAA for a BBJ Max, bringing to 21 the total orders for the business jet version of the re-engined narrow body family: 14 Max 8s, three Max 9s and four Max 7s. On December 13, 2018, Boeing delivered the 787th 787 Dreamliner to come off the production line, marking a special milestone for the super-efficient airplane family and the fastest-selling twin-aisle jet in history. Since its first delivery in September, 2011, the 787 family has flown nearly 300 million passengers on more than 1.5 million flights around the world, including more than 210 new nonstop routes made possible by the airplane’s superior fuel efficiency and range. The airplane was delivered to AerCap, the world’s largest lessor and 787 customer. 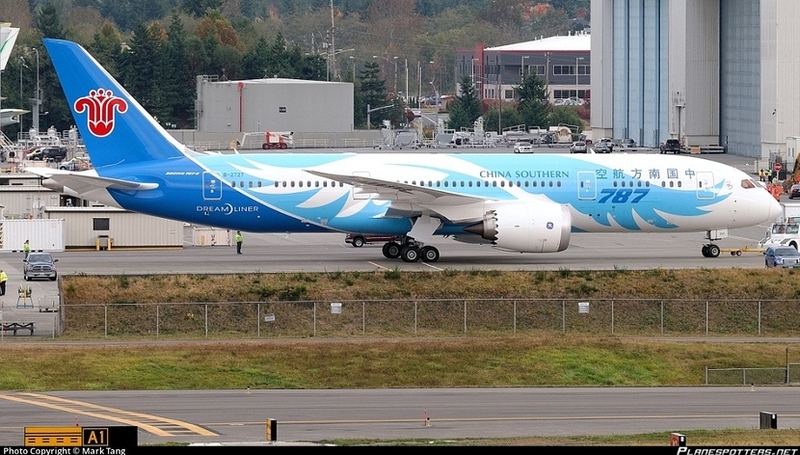 Sporting a special logo commemorating the production milestone, the airplane will be leased and operated by China Southern, which continues to expand its long-haul fleet of 787 Dreamliners, including 10 787-8s and eight 787-9s. China Southern Airlines first ordered 10 787-8 Dreamliners in 2005 and further increased its capability on long-haul routes when they placed an order for 787-9s in 2016. On December 15, 2018 Boeing marked a key milestone in its relationship with China’s aviation industry, delivering the first aircraft from its 737 completion and delivery center in Zhoushan. 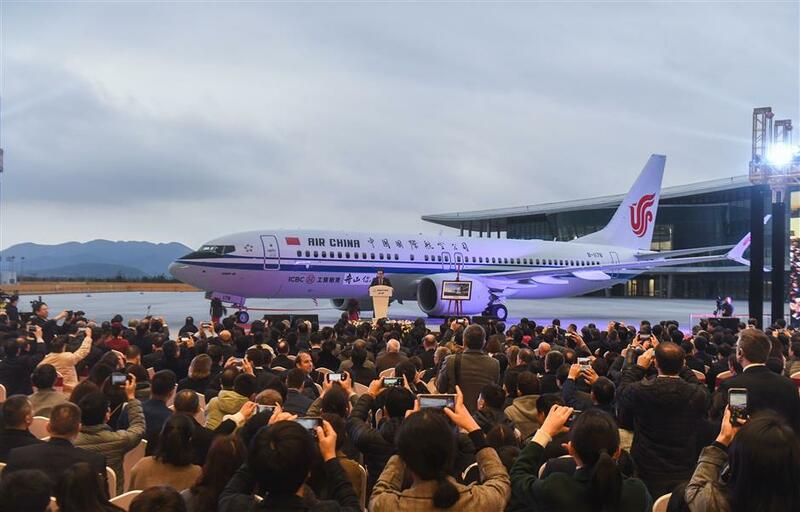 The hand-over, undertaken in conjunction with joint-venture partner Commercial Aircraft Corporation of China (COMAC), involved a 737 Max 8 for Air China, registration B-1178. The aircraft was built on Boeing’s 737 assembly line in Renton, Washington, but completion was undertaken at the Chinese facility in Zhoushan. The milestone comes 20 months after construction began at the 100-acre site, says Boeing, which is its first such facility outside the USA. It was built in partnership with the Zhejiang Provincial and Zhoushan Municipal Governments and will become fully operational in phases as capacity increases, adds Boeing. “This moment signifies our growing partnership with China that stretches back over nearly half a century,” says Kevin McAllister, president and chief executive of Boeing Commercial Airplanes. On November 25th, 2018 British Airways flew its final Boeing 767 passenger flight revenue flight as it retires the type after almost three decades of service. BA was the last customer for the Rolls-Royce RB211-powered version of Boeing’s wide body twin. This proved a relatively unpopular option, with just 31 delivered-28 to British Airways(BA) and three to China’s Yunnan Airlines. 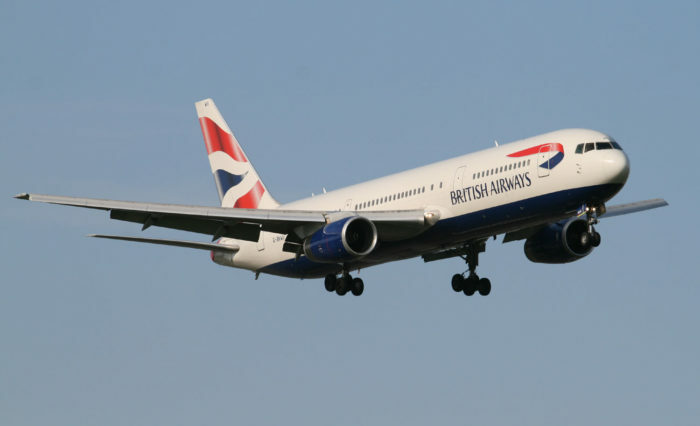 The 767 was selected by BA in 1987 over Airbus’s pitch-A300-600R. BA said at the time of selection that, before deciding on the Boeing 767, it had “conducted a most careful study of the closely comparable Airbus A300”,but the final decision was based upon the 767’s commonalities with the 757 ( common type rating),and the availability of the RB211. The first 767-300ER arrived in February 1990, and the twinge proved very agile throughout its 28 years, operating across its short-haul network as well as further afield to destinations in North America, the Caribbean, and Africa and the Middle East. 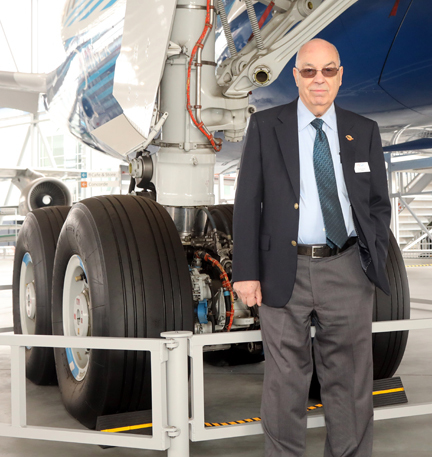 The last commercial flight took place on aircraft registration G-BZHA between Larnaca, Cyprus and London Heathrow. It first flew in 1998 and flew an estimated 23 million miles. It has visited Larnaca 900 times in its life, but its most popular route is actually to Athens, where it completed 1275 round trips. According to British Airways, its estimated that this specific aircraft has carried around 4 million customers across nearly 23,000 flights. 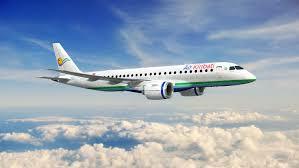 Air Kiribati Embraer signed a contract with the Government of Kiribati in partnership with their national airline, Air Kiribati, for two firm orders for the E190-E2 E-Jets and two purchase rights for the same model. 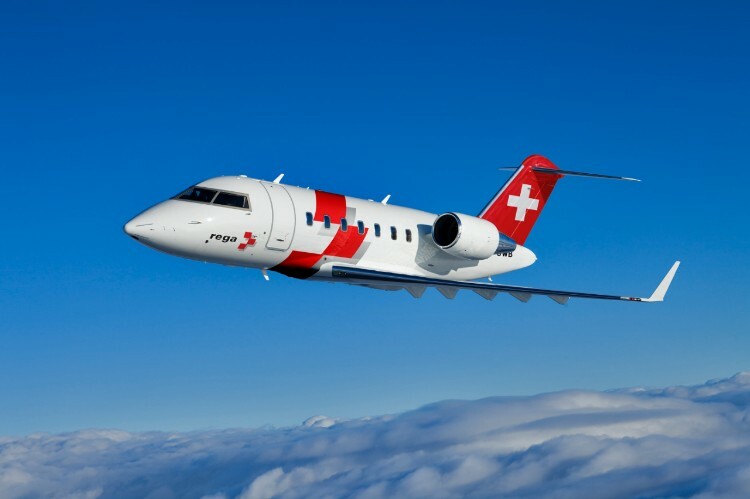 Bombardier has delivered the third and final Challenger 650 to Swiss rescue and medical services provider Rega. From a 2015 order for the large-cabin business jet. Azul firmed up an order for 21 Embraer E-195-E2s previously announced at the Farnborough air show in July 2018. Flydeal Boeing and Flydeal announced on December the Middle East carrier is growing its fleet with 737 MAX aircraft, the airline committed to ordering 30 aircraft with options for 20 more. Easter Jet has become the first South Korean carrier to take delivery of a Boeing 737 Max 8. It is one of two that the leisure carrier is taking through VEB-Leasing, which will join its fleet of 19 737-800s. Nordic Aviation Capital will lease seven new Embraer E190s to Air France regional subsidiary HOP! Airbus delivered 89 aircraft (two A220s; 71 A320s; three A330s; 11 A350s; two A380s) in November 2018 vs 74 in November 2017. Air Europa will begin phasing out its Embraer E195 aircraft in 2021 as part of a strategy to transition to an all-Boeing fleet in 2023. Subaru Aerospace Company has moved up the value chain with its center wing-box work for the Boeing 777X, as it seeks to further improve efficiency and manage costs. Middle East Airlines of Lebanon announced has announced plans to purchase four Airbus A330-900neos, with options on a further two. Ethiopian Airlines Cargo and Logistics Services has celebrated 10 years of cooperation with Belgian airfreight hub Liege. 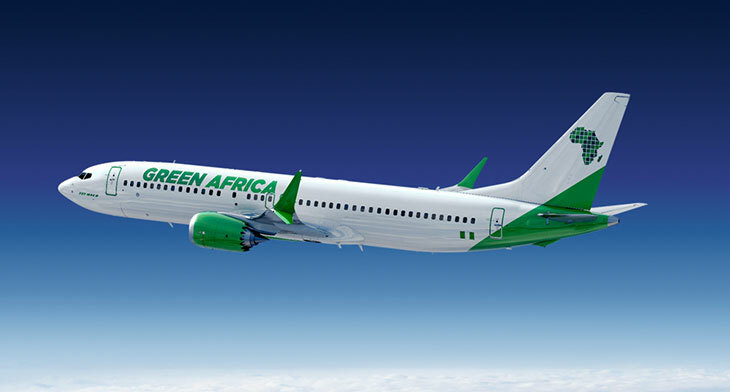 The anniversary was celebrated at the recent 2nd Africa Aviation summit, which was held in Nairobi, Kenya in late November 2018 at the Liege Airport. The next summit, in 2020, is to be held in Addis Ababa, Ethiopia, and will be hosted by Ethiopian Airlines Cargo and Logistic Services and Liege Airport. 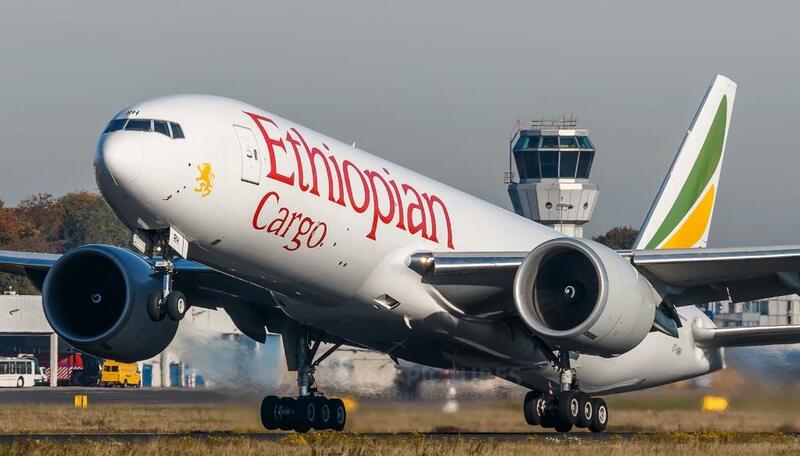 Fitsum Abady, general manager Ethiopian Airlines Cargo and Logistics Services, said in Nairobi that the carrier’s choice of Liege in 2008 as its European hub has proved to be a wise choice. The freight carrier has grown rapidly over the last decade: its freighter fleet has evolved from two leased MD11s to an inventory of eight brand-new Boeing 777 freighters—with more to come. Ethiopian Cargo played a role in the creation of Liege Airport Cargo North as a gateway for flowers and other perishables, and is seen as an important partner for the future by Belgian gateway. The Standard limousine wasn’t good enough to chauffeur government officials and corporate executives for the Asia-Pacific Economic Cooperation forum in November of last year in Papua New Guinea. 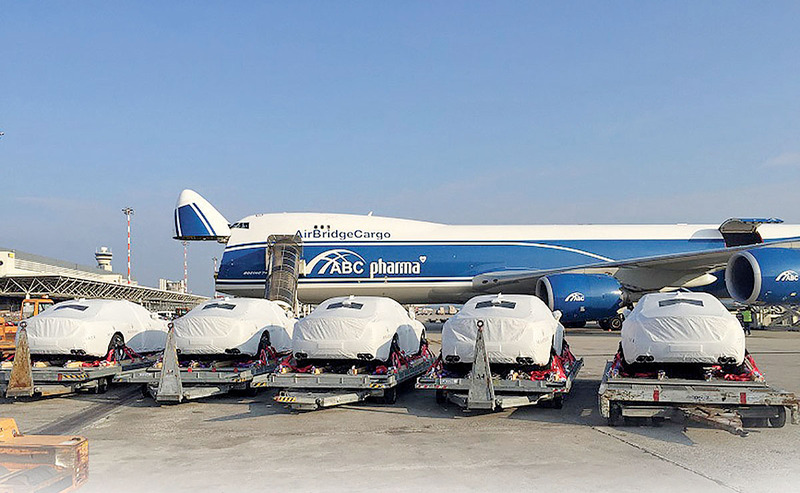 Kuwait-based Agility Logistics chartered two Boeing 747-8 freighters operated by Air Bridge Cargo, to fly 40 Maserati Quattroportes from Milan, Italy, about 8,500 miles to the event. The Quattroportes were jacketed in protective covers as part of the white-glove treatment. European And US regulators have expanded a software-upgrade mandate to CFM International Leap-1B engines that ensures Boeing 737 Max-powered aircraft will not experience engine-fan-speed issues caused by extremely cold weather. November 27 and December 11, 2018 respectively, mirror earlier requirements that covered Leap-1A engines that power A320neos. The latest directives require 737 Max-family operatives to upgrade full authority digital engine control (FADEC) and prognostic health monitoring (PHM) software within 60 days of their respective effective dates. The Boeing fleet upgrades were recommended in a CFM service bulletin issued October 24, 2018. The Issue stems from engines cold-soaking after sitting at least six hours in temperatures well below freezing. Frontier Airlines reported six incidents when Airbus A320neo-family aircraft departing on their first flights of the day were forced to return to their gates when engines would not reach the required takeoff fan speed. In each case, water and ice was discovered in engine pressure-sensor lines affecting the sensor’s accuracy. “While we have not received any reports of aborted takeoffs with the CFM Leap-1B model engine, the unsafe condition is likely to exist because of similarities in design and instances of ice and moisture found in the pressure sense subsystem lines,” FAA said. Sources on Latest News: Airbus,World Airline News, Flightglobal ,Air Europa, Middle East Airlines & Bombardier.